IMSCC is delighted to be able to introduce new faculty to you here, and look forward to bringing them together with students as lessons get underway fall. Dr. Jeon is a piano soloist, collaborative pianist, teacher, and also a certified Andover Educator. She received her Bachelor’s Degree in Piano Performance from the University of Rochester at Eastman School of Music (NY), her Master’s Degree in Piano Performance from New England Conservatory (MA) and her Doctoral of Musical Arts Degree in Piano Performance and Theory Certificate from University of Washington (WA). Dr. Jeon has also studied Body Mapping and Coordinate Movement Program, a new trend in music education which uses anatomical information to help musicians play with the greatest physical freedom. She was the recipient of many awards and honors including Howard Hanson Scholarship, George Eastman Scholarship, Piano Departmental Award (Carol Frank Clement), Highest Performance Award (Charles W. Kennett), New England Conservatory Merit Award, New England Conservatory Collaborative Piano Award, Mortar Board Scholarship, and Johnson Memorial Scholarship during her university studies. She has held teaching positions at Eastman School of Music, New England Conservatory, Portland State University, the University of Washington as a teaching assistant, and was chosen as a lead teaching assistant during her university studies. Dr. Jeon was an artistic committee member of Seattle International Piano Festival and the member of the piano faculty at North Seattle College (WA). 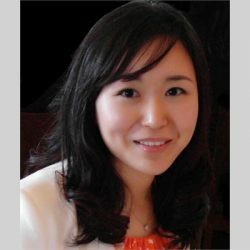 Dr. Laura Jeon incorporates a well-balanced foundation with technique and musicianship in her piano teaching. She believes that these two factors can lead to the most robust learning process and with the right learning process, one can better achieve a final product. She values music education because of the various elements it can teach to students. The student in Dr. Jeon’s studio can learn how to be patient with themselves as they learn music and the discipline of practice and the various techniques one may employ. In addition, students can learn how to express their feelings, and during this process, the teacher can guide students in finding their inner ability or talent. Music is not about teaching only notes and the rhythm; Dr. Jeon firmly believes that a teacher should give something that each student can hold onto which can enrich their lives forever. If you’re interested in lessons, contact us!